The best inflatable playground has moved! Now at The Hub Recreation Centre, Park Avenue, Aberfoyle Park. Book now to experience the healthiest way to have fun ever imagined! Book Now to check availability and secure your session time! Booking online in advance is recommended as sessions do fill quickly. 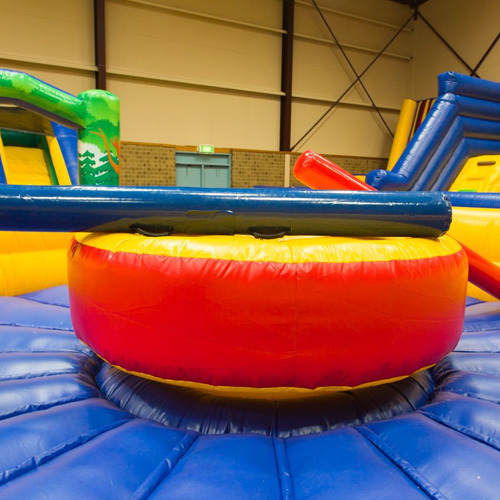 Sessions at Inflatable Zone are limited to 1.5 hours in duration. Minimum age is 3 years old to participate on our inflatables. 2 year olds are welcome with constant parent supervision. Inflatable Zone Grip Socks must be worn as part of our safety requirements. These are available to purchase for $2.00 and are yours to keep! Parent/guardian supervision is required for children aged up to 14 years of age. Spectators are FREE! 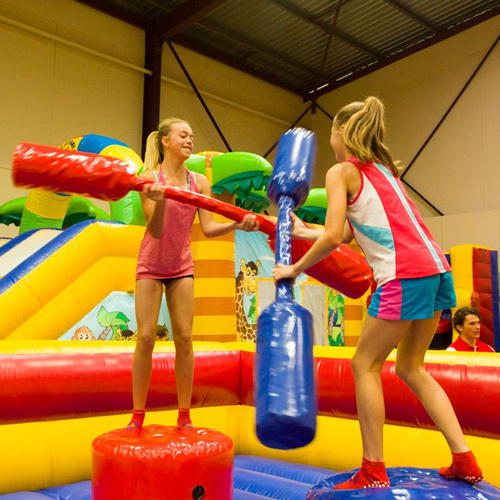 For an exciting and unique birthday party, come to Inflatable Zone for your next birthday party. Contact our friendly staff for information or book your party now! 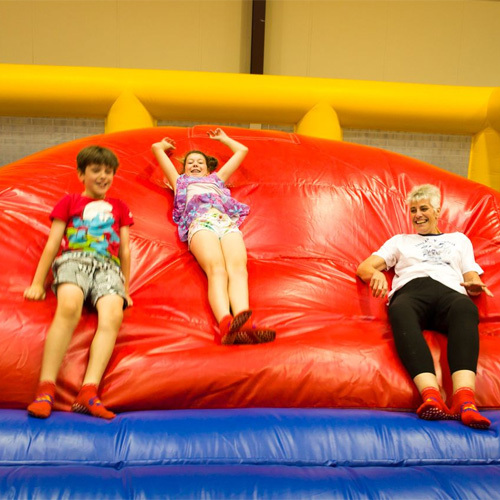 Inflatable Zone has great packages for OSHC, vacation care groups or community/sporting organisations. We supply free socks with all these bookings as well as separate space for your group to relax. Phone NOW to get details of prices and availability.